If I could get away with it, I would wear leather year-round. Of course, hot summer months aren’t exactly conducive to the heavier textile- I once wore leather pants to an outdoor concert on a hot summer’s day, and realized the true, unbearable meaning of suffering for sake of fashion- but spring is the perfect time to utilize layers with all the rising and falling temps. However, instead of my usual black leather obsession, during this time of year I tend to add a touch of color to my ever-evolving wardrobe. 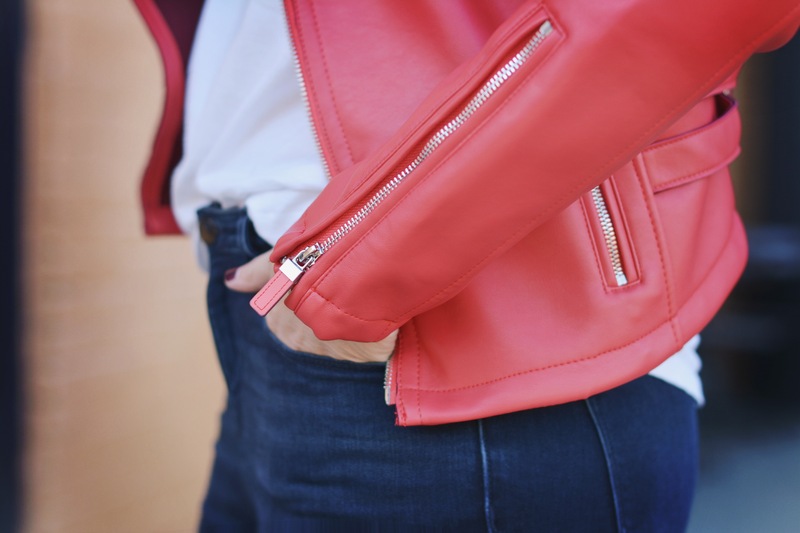 The particular red leather jacket was the perfect addition for spring, and it makes me feel like I could be a backup dancer in Michael Jackson’s Thriller video when wearing it. Looove this jacket, here’s hoping for cooler nights so you can wear it in the summer too, you always find the best things at Express!